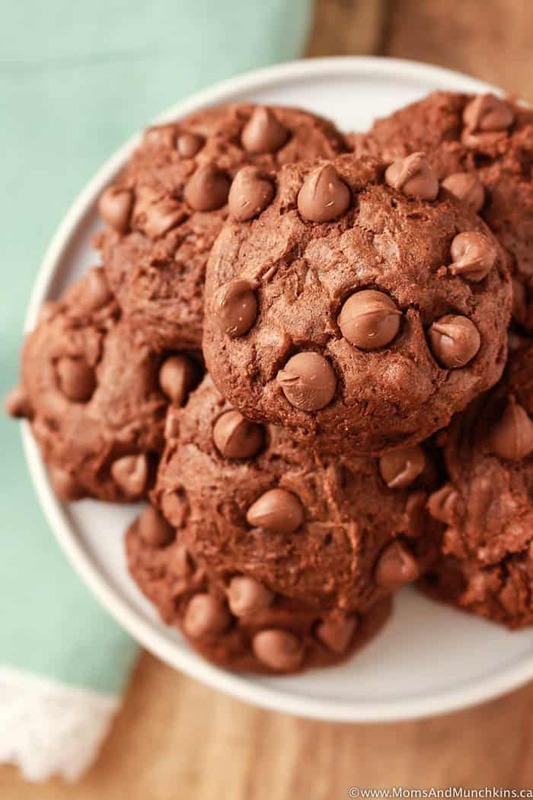 You don’t have to choose between brownies or cookies when you can have both in these brownie cookies. 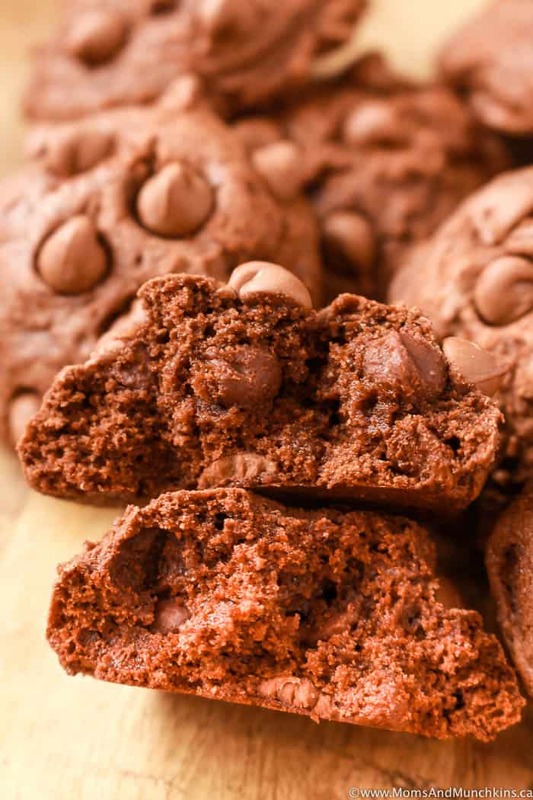 Yes, cookies that taste just like delicious brownies! Pretty sure I could eat a dozen of these in one evening…in fact, I probably almost did. Oops. I try to eat mostly vegetables, fruit and meat but my mind is always wandering off to chocolate and sometimes you just have to give into those cravings. Everything in moderation, right? Okay, a dozen cookies in one evening isn’t exactly moderation. Hopefully your willpower towards chocolate is better than mine. If not, don’t sweat it. You can always get back to that broccoli tomorrow. Like seriously look at all that chocolate! Yep, I’m totally drooling again. 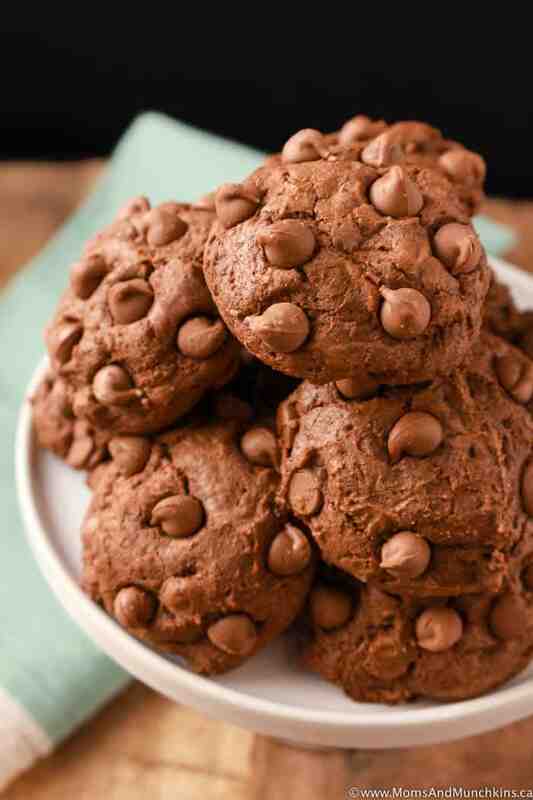 Big fluffy brownie cookies perfect for your next chocolate craving. These freeze well too so you can save some in the freezer for a future midnight snack. There’s no such thing as too much chocolate, right? Never! Place silicone baking mats on two cookie sheets. If you don't have silicone baking mats, lightly grease two cookie sheets. Set aside. Place semisweet chocolate chips and butter in a small bowl. Microwave just until melted - start off with just 30 seconds and stir it to melt the chocolate. You don't want to overheat this. In a medium bowl, stir together flour, cocoa, baking powder and salt. In a large bowl, whisk together granulated sugar, brown sugar, eggs, milk and vanilla until well blended. Stir dry ingredients into the wet ingredients (sugar & egg mixture). Stir just until combined. Stir in melted chocolate mixture and stir until well combined. Stir in 1 cup of milk chocolate chips. 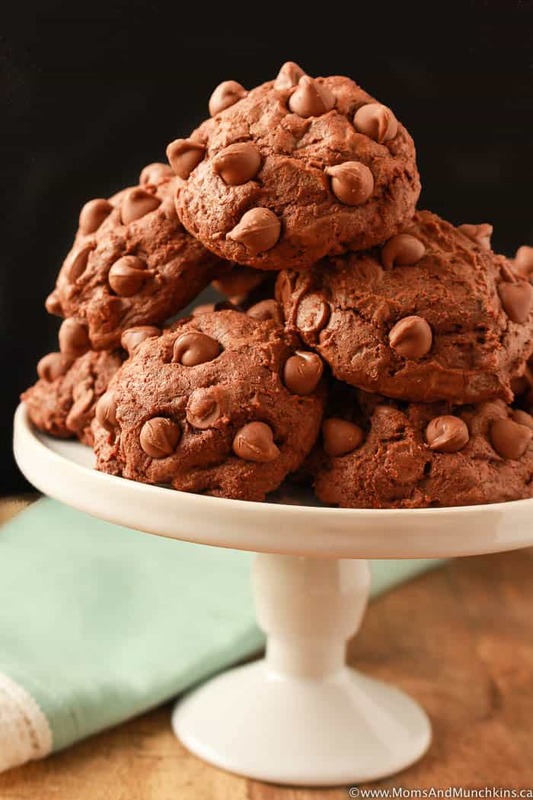 Keep the remaining ½ cup of chocolate chips until after you form your cookies. 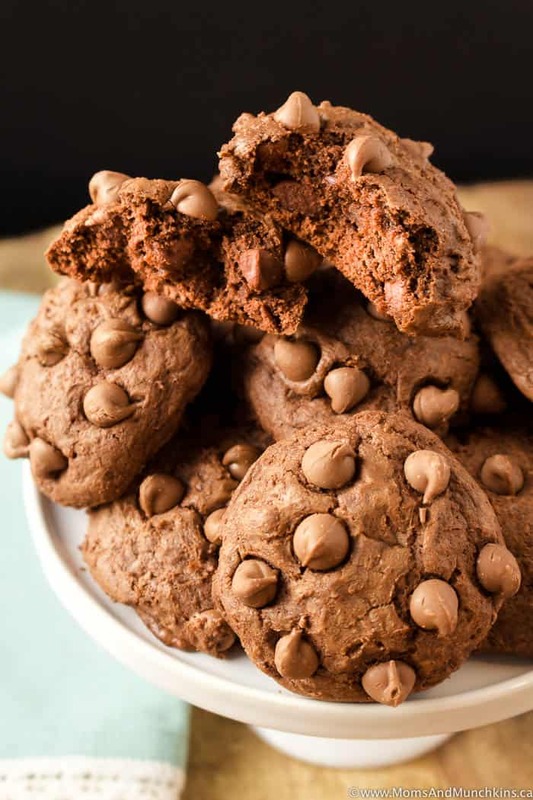 Form cookies (about 2 tablespoons in size each) then press a few milk chocolate chips into the top of each cookie before baking. Bake cookies for 13-15 minutes (depending on size of cookie, mine took 15 minutes). 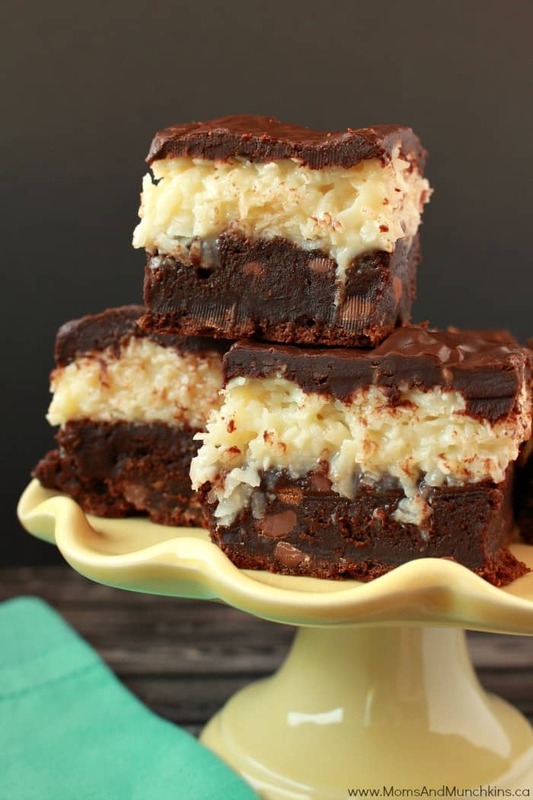 Chocolate Coconut Brownies – a few steps to make these but well worth the extra effort. 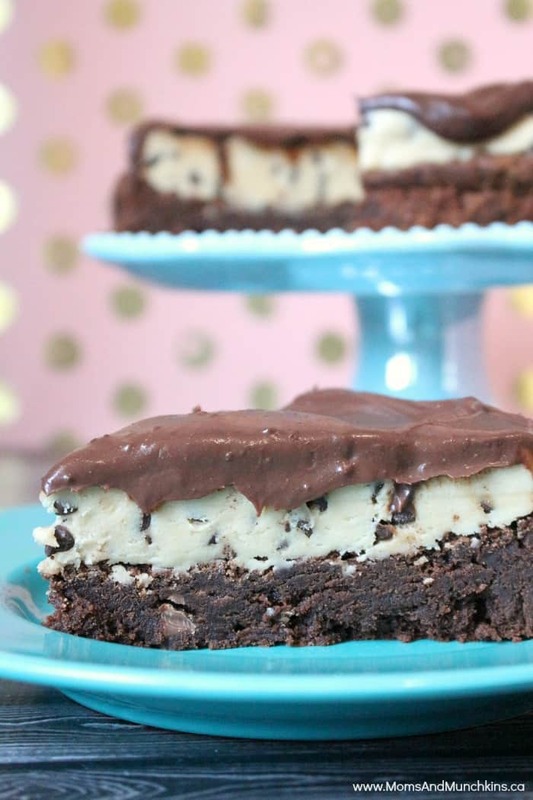 Cookie Dough Brownies – delicious brownies topped with an egg-free cookie dough and chocolate ganache. Visit our desserts page for even more tasty ideas. Stay updated on the latest recipes and party ideas by following us on Pinterest, Instagram, Facebook and Twitter. There is never such a thing as too much chocolate! These cookies look amazing! I couldn’t agree with you more, Bethany! Chocolate is my weakness. BROOKIES! These look like pure perfection. Good thing calories don’t count on the weekends, right!? Okay, I’m obsessed with cookies and my husband is a brownie addict. I’m blaming you for our inevitable weight gain now that we have this recipe! Ha! I take the full blame, Beth!